Late last year, the OPODNE organizing committee in Mombin Crochu established a new partnership with the World Bank to launch a sorghum cooperative. Learning about OPODNE’s organizing, the World Bank made an investment of $75,000 to develop the effort. 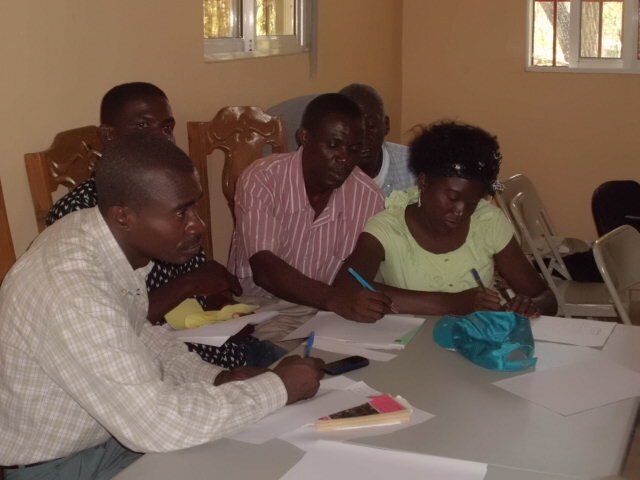 OPODNE has formed a farmer’s cooperative and has identified land valued at $25,000 as first steps. What is needed now is $5,000 from the local community. Funding will be used by the co-op to buy the seed and equipment needed to plant, harvest, and process the sorghum crop. A brewery has committed to buy the crop at prices that guarantee a reasonable profit for the cooperative. Leaders have already agreed on a formula to distribute profits equitably to co-op members and to provide technical support and improve community services. Can you help us move this ahead by making a donation TODAY toward the $5,000 we need to raise to finalize this agreement?